HeadPower regularly trains Doctors and their Staff on how to perform scalp pigmentation for baldness and scar revision. Watch and listen as Doctor Leslie and Doctor Harris explain why they trust HeadPower Hair Clinic above the competition. In depth, hands on learning. From start to finish, experience what its like to transform someone and change their life in HeadPower’s award winning 3 day intensive Scalp Micropigmentation training program. There are no dummy heads, and no wasted time sitting in a classroom all day. Learn from the Master SMP Artists how to deliver mindblowing natural results on real people from day 1. Start your own business, or add to your existing hair salon, beauty salon, or tattoo parlor. Take control of your life and your financial freedom. 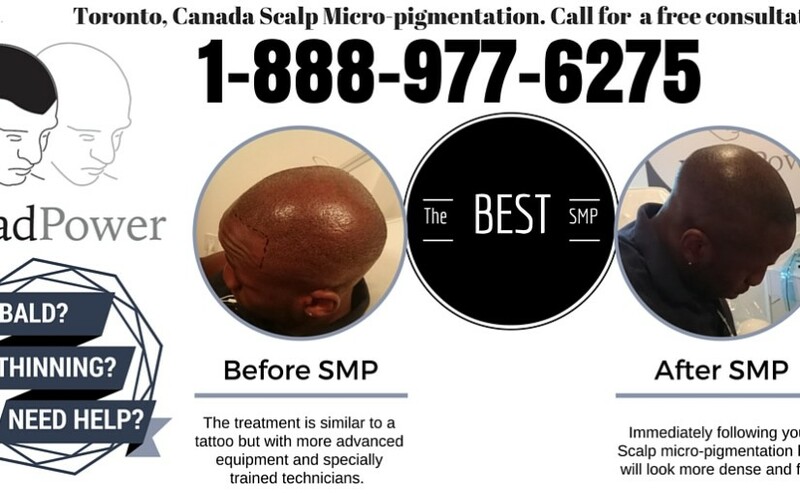 Call 1-888-977-6275 to become a Certified Scalp Micropigmentation Technician. 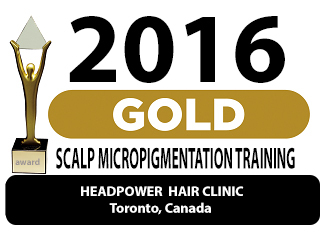 The HeadPower Scalp Micropigmentation Training Program has been chosen as the Gold Award Winner for 2015-2016 by Scalp Micropigmentation Training Review. com, an independent scalp micropigmentation ratings and review agency dedicated to providing consumers with the best choices in the scalp micropigmentation industry. 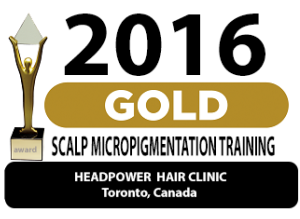 There are numerous critereon that the HeadPower Scalp micropigmentation training program had to meet in order to be recognized with this industry coveted award. HeadPower is rated above the competition in almost every category and we are proud to be the winners of this prestigious recognition award. We also understand that with this award comes a great responsibility, so we will continue to put out some of the best scalp tattoo and hair tattoo results in the world and will also continue to maintain the highest level of service and customer satisfaction. We are also ensuring that our quality control standards far exceed the requirements set by the local health departments in the various cities, and countries our students travel from. Scalp Micro-pigmentation Training – Earn Big Bucks, Work for Yourself, Change the Lives of Men all at the same time! How many bald guys have you seen today? Probably more than you can count on your hands, and your toes! 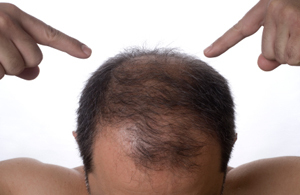 What if you could get even one of them interested in scalp micro-pigmentation per month? What about per week? or per day? Treatment prices range from $3000-$5000, and our 3 day intensive training program costs only $6000. Since it also includes your machine as well as your supplies and everything else you need to treat clients on your own, simple math can figure that only a few treatments are necessary to recoup your total SMP training costs. This is not a franchise, and you are not required to pay us kick-backs from your clients so you get to keep everything you make including all of the profits. Baldness is not a problem that is going away. It’s been here since the beginning, leaving a trail of devastated egos and depressed men in its wake. It’s flat out affected the confidence and lives of men all around the globe, and its time to put an end to baldness once and for all. What if you could help to make a difference and solve this major problem in the area where you live, and at the same time earn money from it? It’s a win-win, and you will sleep well at night knowing you’re making a difference in the world. 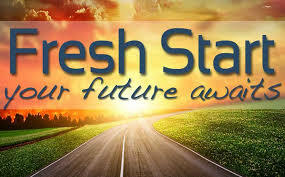 Never to late to get a Fresh Start. Begin your New SMP Career as a Hair Tattoo Artist, and help those suffering from hair-loss. Until recently, victims of hair loss had limited options available to cope with this very emotional issue. Hair systems, makeup and hair fibers were some of the only things that could be done until the advent of scalp micropigmentation, or hair tattoo. This procedure is performed in a clinical environment, and students who take the HeadPower SMP training program will be fully immersed in live treatments with real life clients, each having their own unique circumstances. The hair-loss industry is a multi-billion dollar industry, and after successfully completing our SMP training program you will treat clients from all walks of life, each struggling with varying degrees of balding. You need to be able to look at a client and automatically determine the best course of action to proceed with. The HeadPower SMP training method involves a personalized and customized approach to Scalp micropigmentation on a case by case basis. Students will get hands on experience, and will also get to watch skilled instructors perform scalp micro-pigmentatation and scar camouflage treatments.